Email is one of the most common mediums of communication used in almost every company. When email was invented, it didn’t take very long for this technology to quickly be rolled out. At the time, the only method that people had available to communicate with each other was through telephones and telegrams, both of which were quite costly. However, email required little to no money whatsoever, regardless of the distance to be covered. If the other person had a computer and internet connectivity, no matter how far away they lived, the email would reach them within a matter of a few seconds. Today, it’s hard to imagine a world without email. It’s the most effective form of communication and it’s widely used by businesses for relaying information. However, in this day and age, email is also widely used for marketing purposes. If you open an inbox of an email address that you have subscribed to several newsletters, you are going to be greeted with a bunch of spam mails in your inbox. However, while it’s not that big of a deal for you, spam mail poses a lot of issues for businesses. Most businesses spend a great deal of money on getting a high quality spam cleaning program, such as MailCleaner, in order to keep the company mailboxes clean. Here are just a few key reasons why it’s so important for you to have a spam cleaning program in your mailbox. When an employee first opens their mailbox in the morning, they are greeted with a plethora of spam mails. Most malicious marketers look for emails through company databases. This provides them with a large number of active emails that they can target. As a result, everybody in the company is likely to receive the same mails. Studies have shown that on average, employees spend almost 30 minutes in the morning simply sifting through spam mail and getting their inbox in order. Naturally, this means that employee productivity and efficiency are both compromised. 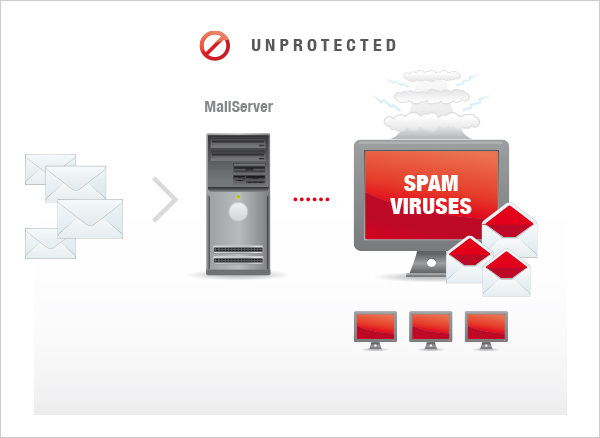 However, if you have a mail cleaning program installed on the servers, it’s going to block out all unknown mails to your computer. Another major reason why you need to have a spam cleaning program on the servers is because it helps keep your servers stable. If there’s an influx of spam mails on the server, there’s a very high chance that the whole thing will come crashing down. This will affect operations within the company for a day or two, until the servers get back online. There are many other reasons why you should invest in a spam cleaning program. One of the key reasons is to prevent harmful or malicious software programs from accessing the network and damaging the company’s computers. You should purchase a reputable program that can be installed on the company’s servers and prevent all sorts of harmful and malicious emails from entering the network. These are just some of the main reasons why your business needs a spam cleaning program. No Replies to "Why Your Business Needs A Spam Cleaning Program"